Enjoy the view of Assi ghat in our helicopter joyride in Varanasi. If you want to enjoy sitting on the banks of a river - Varanasi would be the perfect destination for you.There are more than 100 ghats in Varanasi for you to enjoy. The main group contains around 25 of them, and it extends from Assi Ghat north to Raj Ghat. The ghats are usually used for bathing and worshipping. But cremations are also performed on various ghats - mainly Manikarnika and Harishchandra ghats. A lot of ghats are the results of constructions that took place during the expanse of the Maratha Empire in 1700s. Most of the ghats are either privately owned or have special significance in the Hindu mythology. 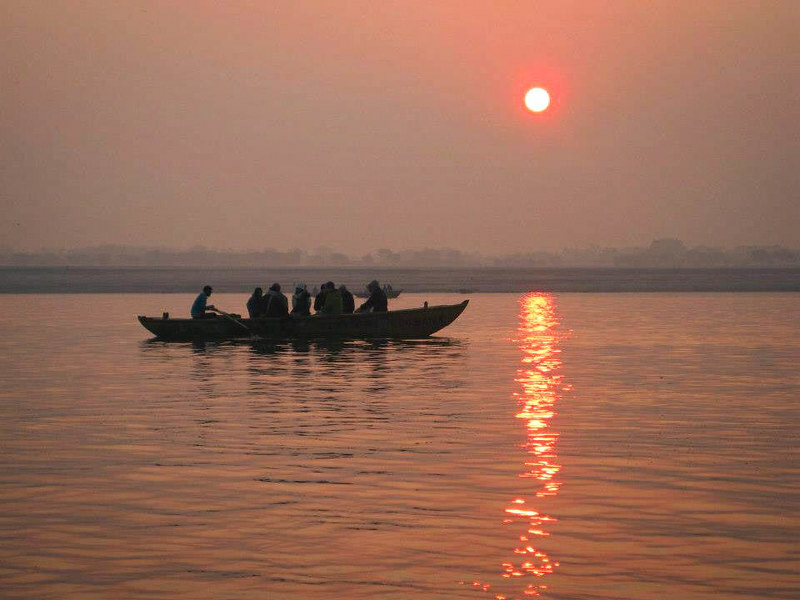 Assi Ghat is the southernmost Ghat in Varanasi, it is situated at the convergence of Ganga and Asi rivers. Pilgrims often pay their homage to Lord Shiva in form a huge lingam situated under a peepal tree. Assi Ghat also constitutes the southern end of conventional city. It was at the Assi Ghat where the famous Indian poet saint, Tulsi Das had written the much-celebrated Ramcharitmanas. A lot of references of Assi Ghat can be found in early Hindu literature like - Assi Ghat in matsya purana, Agni purana, kurma purana, padma purana and kashi khanda. Recently, there has been a great demand for helicopter rides in Varanasi. Everyone wants to get the amazing view of Assi Ghat from helicopter. Getting an aerial view of any place is a different and amazing experience for any person. Seeing such a great demand for helicopter rides in Varanasi, Atventus Air has come up with Assi Ghat Joyride, Assi Ghat Air Ride and many more different flying options for the tourists. Our fleet is best in class and is designed to give you the perfect experience of every flight. These flights are conducted under our expert team of pilots and guides, who help you explore each corner of the city. If you are a camera person then this would be the perfect spot for you to get some amazing portrait shots. This is one of the most beautiful and appealing ghats of Varanasi and a heaven for photo lovers. It features an imposing palace hotel that you can stay in. It was built in the early 1900s by the royal family of Bihar. Adjoining it is Munshi Ghat, constructed in 1912 by Sridhara Narayana Munshi, finance minister of the State of Darbhanga. Atventus Air offers some special tours at this place. Having an aerial view of the scenes is an amazing experience in oneself. There has been a great demand in the recent years of helicopter rides. Trends have changed and so are the requirements of people. So to cater the requirements of people Atventus Air has arranged several packages for our valuable customers. 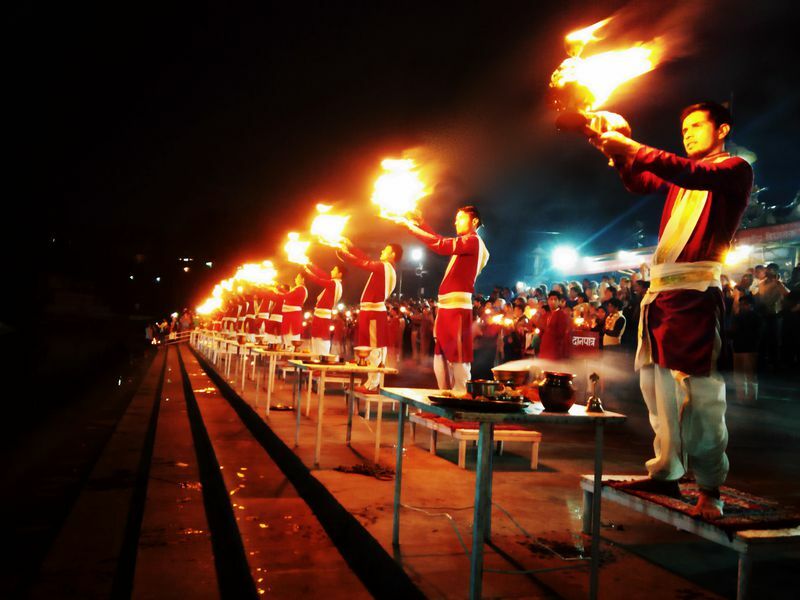 One of the prime attraction of Varanasi that is enchanted by the Ganga Arti every evening. This is one of the oldest ghats of Varanasi and Ganga Arti takes place here every evening. The carnival of goings-on, with a constant flow of pilgrims, Hindu priests, flower sellers and beggars from dawn till dusk, is absorbing. It's possible to sit and watch for hours, and not get bored.According to Hindu mythology, Lord Brahma created the ghat to welcome Lord Shiva. Lord Brahma is also believed to have performed a special horse sacrifice ritual there in front of a sacred fire. Atventus Air offers some special tours at this place. Having an aerial view of the scenes is an amazing experience in oneself. There has been a great demand in the recent years of helicopter rides. Trends have changed and so are the requirements of people. So to cater the requirements of people Atventus Air has arranged several packages for our valuable customers. Situated in the premises of Banaras Hindu University (BHU), New Vishwanath Temple is definitely a must visit in Varanasi. The temple was constructed by the famed Birla family and hence is also known as Birla Temple. 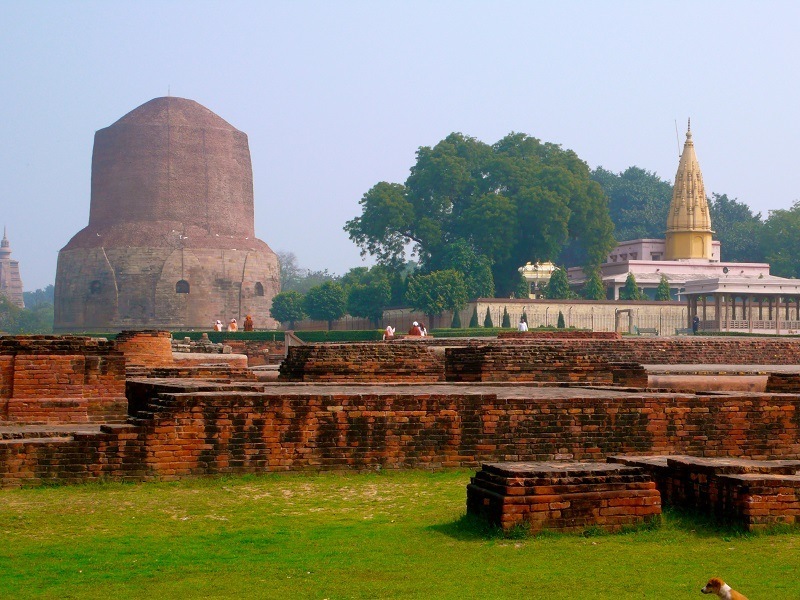 In fact, it is a temple complex which consists of 7 temples. The architecture of the temple is inspired by the old Vishwanath Temple and the structure is made of white marbles. The Shiva temple is situated on the ground floor, whereas Durga temple and Lakshmi Narayan temple are located on the first floor. The walls of the temple are adorned with the text of Gita, which certainly catches the eyes of the visitors here. Atventus Air provides an amazing aerial view of the temple and special photo sessions to capture your memories. An aerial view is the best way to experience the beauty of any place. Kashi Vishwanath Temple is the most important place to see in Varanasi. With a history of more than 3500 years, this holy shrine is one of the prime attraction of Varanasi. The temple is one of the 12th Jyotirlingas, which are considered the holiest Shiva temples. The temple once had a golden spire and domes; hence it was also called the Golden Temple.The Linga is the presiding deity here and the temple is quadrangle, surrounded by temples of other gods. Atventus Air provides an amazing aerial view of the temple and special photo sessions to capture your memories. An aerial view is the best way to experience the beauty of any place.